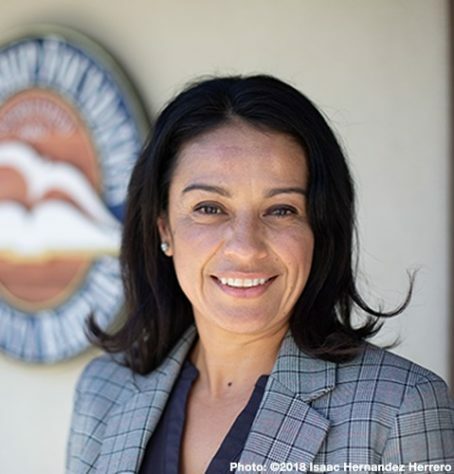 Victoria Juarez is the president and CEO of the Scholarship Foundation of Santa Barbara, where the mission is to assist local students in pursuit of higher education through resources and opportunities. She brings over 18 years of community and nonprofit experience to her position. She is interested in creating opportunities and resources for students to learn and grow, to navigate the unique challenges they face growing up, and to discover their potential as leaders with the courage and vision to change the world. Victoria grew up in the small farming community of Kettleman City. She attended public schools in the San Joaquin Valley and left for the greater LA area immediately after high school. Immediately after college she served in the U.S. Peace Corps for two years in Russia. She previously served as Associate Director of Storyteller Children’s Center in Santa Barbara, a preschool for homeless children. She holds a Bachelor of Arts degree in history and a Master of Science in public administration from California State University Long Beach, and a certificate in finance and administration from California State University, Fullerton. She is an alum of the Santa Barbara Foundation’s Katherine Harvey Fellows program and the Courage to Lead program for non-profit leaders. Victoria currently lives in Santa Barbara with her husband and son.